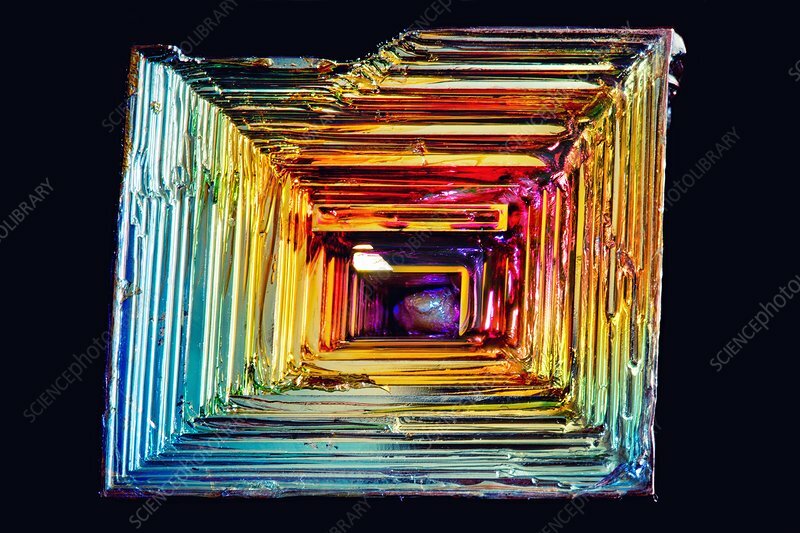 Macro photograph of a laboratory-grown bismuth crystal. Bismuth is a chemical element with the symbol Bi and atomic number 83. It is a crystalline white metal with a pink tinge, but a thin oxide layer on its surface causes it to have an iridescent appearance.